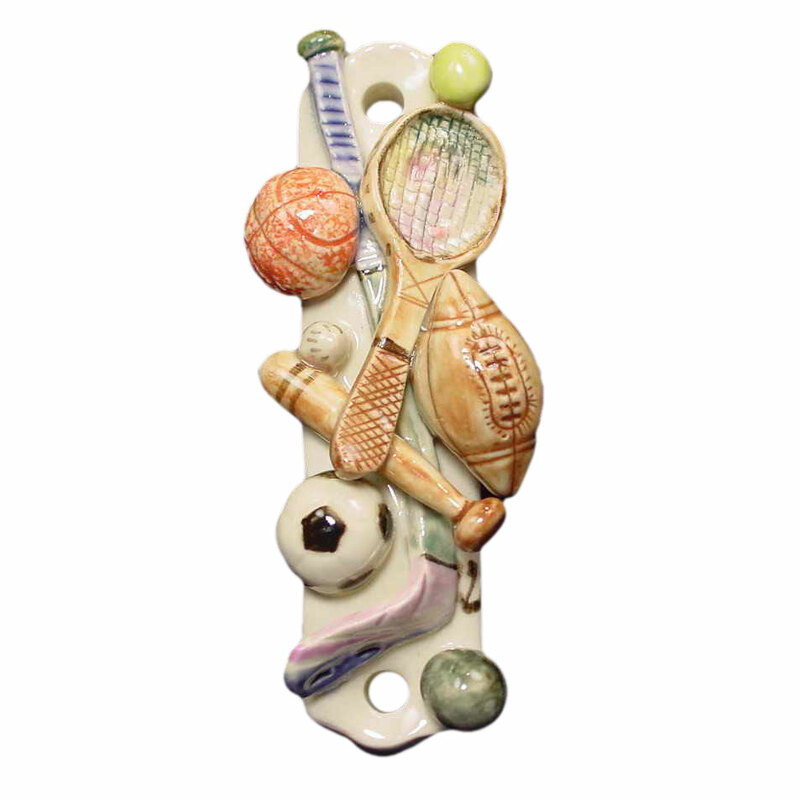 The Sports Mezuzah Is Handcrafted From Ceramic And Hand painted By The Israeli Artist Hazan. The Mezuzah Features A Baseball, Basketball, Football, Soccer, Tennis Racket, And Hockey Stick. The Mezuzah Measures Approximately 4 3/4".